Shaheed Zulfiqar Ali Bhutto Institute of Science and Technology (SZABIST) university Islamabad campus offered admissions 2019 in the defined disciplines in graduate, postgraduate and MS level in the famous institute of modern learning. This institute offers spring and fall admission 2019. The institute is added in the list of Pakistan’s eminent educational institutions by HEC higher education commission. This leading private sector modernistic educational school came into existence in 1995 with the efforts, led by Shaheed Benazir Bhutto because of the commemoration of Zulfikar Ali Bhutto Shaheed. 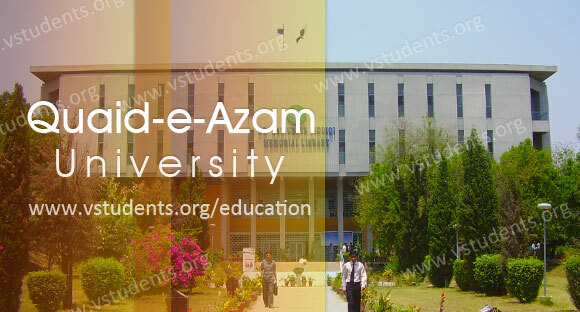 Students can take admissions in BBA, Master in Project Management, Computer Science, Bachelor of Media Science and many other programs in SZABIST Islamabad which has an affiliation with HEC, Pakistan Engineering Council (PEC) and many programs are also awarded by University of London (UOL) and University of South Wales (UOSW). SZABIST university is currently running campuses situated in Karachi, Larkana, Hyderabad, Islamabad and Dubai campus. Its main campus is the one which is in Karachi. Shaheed Zulfiqar Ali Bhutto Institute of Science and Technology has recently announced admission in different programs and degrees in business administration, computer science department, social science and many others including BioSciences. SZABIST Islamabad will also welcome the candidates who are interested in law and want to get themselves enrolled in LLB. Interested students can find out detailed information about university ranking, its SZABIST fee structure, important dates including the last date of form submission, entry test & merit list date, last date of fee submission, programs in which the institute is offering enrollment and the admission procedure, scholarships, and jobs as per university announcements. The institute offer admissions in two times in a year, for fall and spring admissions, This time university has announced its complete schedule for fall admissions 2019. Find admission notice below to get admission in multiple degree programs. Check complete eligibility criteria and admission guidelines including admission last date in the advertisement. The fee varies from course to course but application processing fee for Pakistani candidates is Rs. 1,500 while for foreigners it will be $45. Admission Fee 2019 which is paid once is Rs.20,000 for local students, on the other hand, overseas students have to pay $500. Refundable security fee for Pakistani students is Rs. 5,000 and for foreign students, it is $165. Pakistani nationals will pay Rs. 500 /semester and international students will pay $15/ semester in the account of student activity. The detailed fee structure can check out from the official site. Like every organization, Szabist Islamabad will also test all the candidates by an online admission test, attendance, and clearance of which will be compulsory for all those students and candidates who are interested in getting admission in this institute. The candidates will be informed about their date of admission test. Every institute sets its own eligibility criteria which should be fulfilled in order to get enrolled in that organization. Below is the eligibility criteria of SZABIST Islamabad. To get admission in bachelor programs candidate must have 3 passes in A-Level or minimum 50% marks in Intermediate. For admission in Master programs other than computer science, the candidate must have 55% marks or 2.5 CGPA in 16-year education from an institute which should be HEC recognized. For CS, the percentage should be 60 and CGPA should b minimum 3. For Executive MBA (EMBA) student must have 50% marks or 2.5 CGPA in bachelors from HEC recognized institute in addition to four-year work experience. Minimum 1st division or 3 CGPA is required for those who are looking up for getting admission in doctorate degrees. After fulfilling all the above criteria, the students will be given a test and interview, which should be cleared in order to get enrolled in Shaheed Zulfiqar Ali Bhutto Institute of Science and Technology Islamabad. This academic institute is famous among the students because of its quality education and the skilled faculty which is serving students in the different programs. Due to its professional teaching staff, the Shaheed Zulfiqar Ali Bhutto Institute of Science and Technology stands amongst three top universities of Pakistan in the fields of Business and Information Technology. Below are some courses offered by the university. On 2nd of August 2019, students can check out the merit list of those students who will be considered eligible for the admission in Shaheed Zulfiqar Ali Bhutto Shaheed Institute of Science and Technology Islamabad. The Selected students can submit their fee up to 18th of August 2019. Admission dates and other important information is updated as university declares officially. So, to be updated with latest entry test and admission dates keep visiting this page or you can also follow the SZABIST university official website. sir plz would you inform me when is second admission session going to be started for BBA? When admissions will open in szabist? I want admission in journalism in Islamabad campus. I am interested to take admission in MS project management, kindly guide last date of form submition.